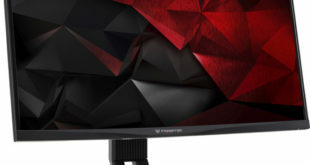 Looking for a new 4K gaming monitor for your workstation? Let’s see what are the best models available. One of the key components of a self-respecting gamer station is the monitor. It is a very important component, as it allows us to fully enjoy all the details guaranteed by our configuration. In addition, a gaming monitor is able to give us a fluid and immersive gaming experience, with a consequent advantage in-game performance. Usually, it is preferable to opt for monitors in Full HD, as they are equipped with high refresh rates and very short response times. 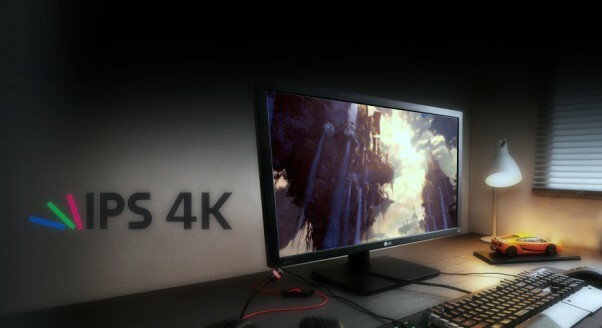 However, there are some very good gaming 4K monitors on the market that can guarantee a great gaming experience. They are not used in competitive gaming but are designed to offer an unmatched gaming experience. 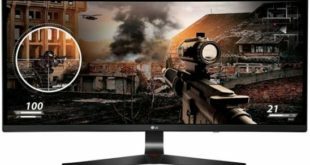 We decided to create a guide for the best 4K gaming monitors, so as to help all users in their choice. Before proceeding to the selection of the perfect monitor we must take into some parameters and some characteristics. Monitors with 4K resolution are quite expensive. For this reason, it is important to be careful when buying a model. Obviously, our PC must be equipped with a hardware that is able to guarantee optimal performance at this resolution. It is advisable to buy a monitor with a size of 25 inches or more, as we can fully enjoy the details offered by our gaming PC. For the same reason, it is not recommended to purchase monitors with Full HD resolution and size over 25 inches. In addition, it is also not recommended to buy a curved gaming monitor with a size of fewer than 27 inches, unless we intend to create a multi-monitor workstation. The refresh rate is the frequency of updating the display, which is the number of times a second in which the image on the screen is redrawn. This characteristic is measured in Hz and is compared together with the response time. In recent years, it has become essential to have a monitor with a refresh rate above 60 Hz. However, unlike Full HD monitors, 4K resolution products do not have high refresh rates. These are two proprietary technologies of the two companies. They greatly increase the refresh rate and image quality performance. Obviously, we need to have a graphics card that supports the technology of the monitor. Unfortunately, the cost of models with these features is slightly higher. This LG monitor is one of the best models in the budget segment. The display type is IPS, equipped with a 24-inch diagonal with a 3840 x 2160 pixels resolution, and is characterized by an anti-reflection treatment. Being an IPS panel, the color range is made faithfully and, for this reason, the model is also suitable for those involved in graphics and video editing. The refresh rate is 60 Hz, while the response time, unfortunately, stops at 5 ms, although it is an IPS panel. The recommended buy especially if you have an AMD graphics card, as it is equipped with AMD FreeSync technology. It is also available in a 27-inch version. It has a simple design but at the same time elegant, very different than the models with catchy lines like those of MSI or Acer. It is a 28-inch monitor with a 3,480 x 2,160 pixels resolution. The TN type panel is recommended for purely gaming. The Samsung MagicAngle technology allows you to automatically adjust the contrast and brightness, so as to improve the viewing angles. It features a 60 Hz refresh rate and a response time is 1ms. Thanks to the generous size, you can enjoy all the details offered and greatly improve the gaming experience. It is also equipped with AMD FreeSync technology, designed exclusively for AMD graphic cards, which is able to guarantee an even smoother gaming experience. The brightness level is 320 cd/m² and gives us the brightest and clearest images. 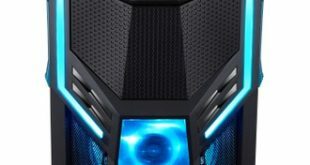 The Acer Predator series has always been known for being one of the landmarks of PC gaming enthusiasts. This monitor is equipped with a 27-inch IPS display panel with a 3840 x 2160 pixels resolution. A panel that appeals to many users, especially when compared to rivals that are offered at the same price. It is characterized by a refresh rate of 165 Hz and a response time of 4ms. This model is especially suitable for those who have an NVIDIA graphic card, as it is equipped with G-Sync technology, for a smooth gaming experience, which can be exploited via DisplayPort cable. Extremely thin edges allow us to enjoy an immersive video game experience. The AGON AG271UG is equipped with a 27-inch display with 3840 x 2160 pixels 4K resolution. It has an IPS type panel and this means that it can be used safely both for gaming and for graphics and video editing. Moreover, it proves to be a perfect model also for displaying multimedia contents. It features a 60 Hz refresh rate and a response time of 4ms, usually for an IPS panel. The FlickerFree and Low Blue Light technologies drastically reduce eye strain, allowing us to play optimally even after many hours of play. In addition, it is equipped with the NVIDIA proprietary G-Sync technology, which can only be used if we have an NVIDIA graphics card. If we are looking for a monitor with excellent technical characteristics and excellent build quality, a peculiar feature of AOC, this is the model that is definitely for us. Here we have a list of gaming-related guides that you will surely find interesting.